Great news Galaxy SII owners! Samsung announced details about upcoming Jelly Bean update for the Galaxy SII. Here are the details announced by Samsung Korea. T-Mobile has announced the most affordable BlackBerry smartphone to its customers. 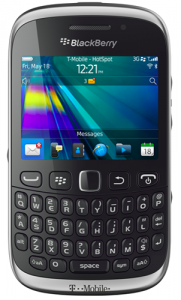 The Curve 9315 features a 320×240 164ppi display, 512MB of RAM, 3.2 megapixel rear camera, a microSD storage expansion slot (up to 32GB), built-in FM radio, GPS and run Blackberry OS 7.1.